I’m not the biggest fan of Valentine’s Day, but now that I have a school aged child who enjoys it, we do celebrate the holiday a little bit. 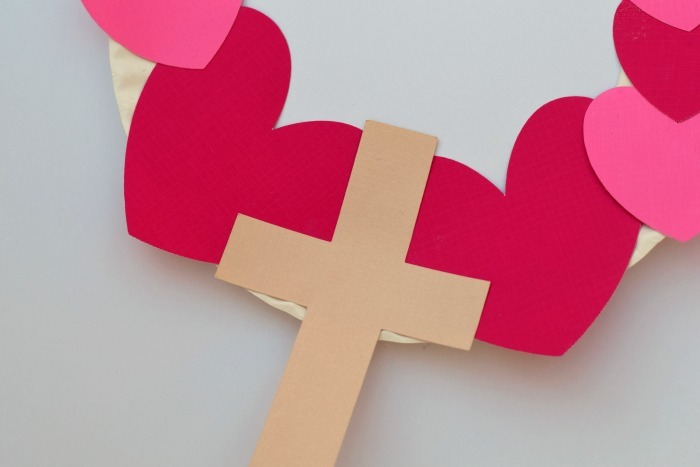 We also like to interweave the Valentine’s Day message into our children’s church lessons along with a discussion about a verse like John 3:16. 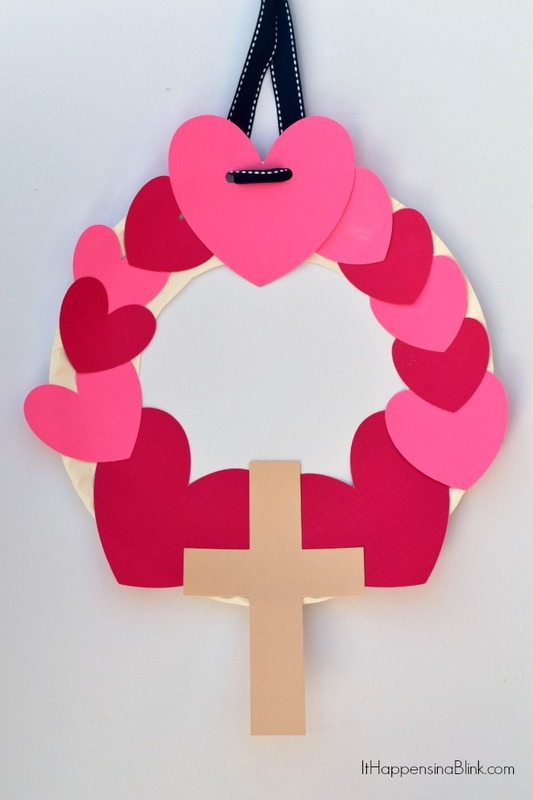 This weekend, my daughter and I experimented with a Valentine’s Day craft idea for an upcoming children’s church. After all, Valentine’s Day is on a Sunday this year! Glue stick- We use Elmer’s Xtreme glue sticks for home use. They provide an awesome hold for craft projects. As an adult leader, the pre-work for this craft can be as involved or as little involved as you want it to be. 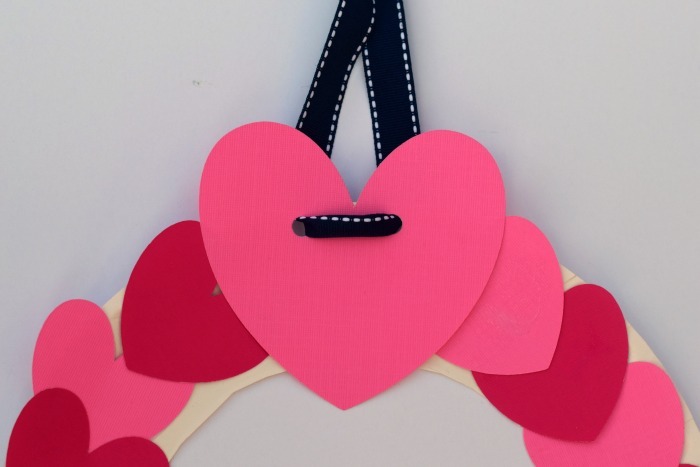 If you have older kids, they can do most of the cutting themselves, including the hearts. For younger kids, you can pre-cut hearts. If you have a Cricut, a Silhouette, or other cutting machine, it will make pre-cutting enormously easier! 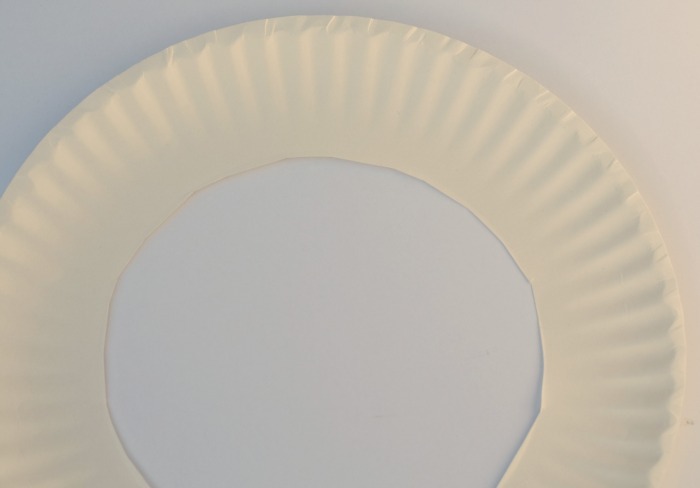 After gathering the supplies, cut the inner circle out of the paper plate. 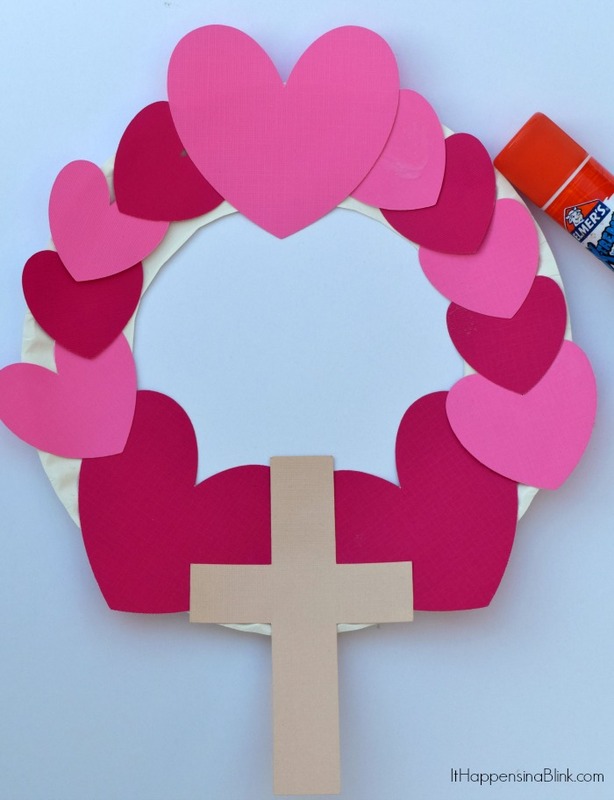 Glue the hearts around the plate and the cross in the center at the bottom. Use the hole punch to create two holes in the top. 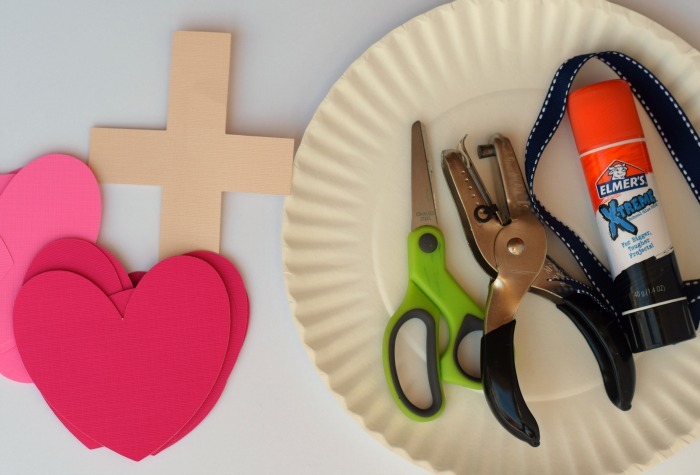 Be sure that the holes are in the portion that includes the paper plate and the heart for reinforcement purposes. Thread the ribbon through the holes to create a hanger. Use the wreath for a door or door knob. Kids always enjoy decorating their room for the holiday! You can also write the references to different Bible verses that have to do with love on each heart or on the cross. For older kids, they can even look the verses up themselves. I’ve included a few “love” verses in a free printable that I offer if you’d like to use those! 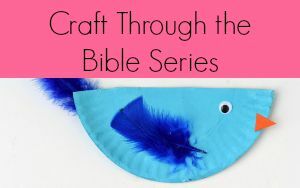 For more kids’ craft ideas for VBS, Sunday School, or children’s church, check out the Craft Through the Bible project page. What Is the Best Time of the Day for My Devotional Time?